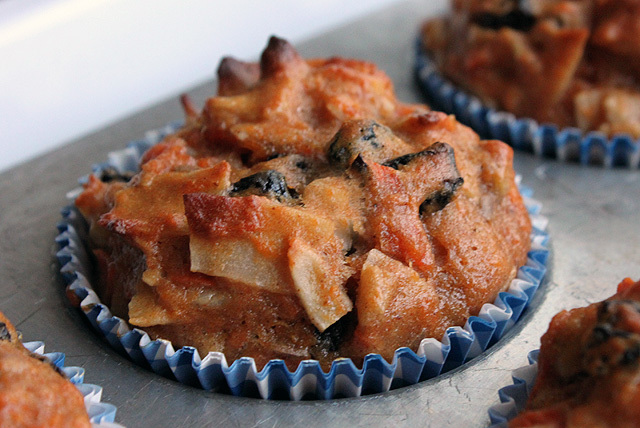 If ever a muffin were meal-worthy and meaty, this is the one. 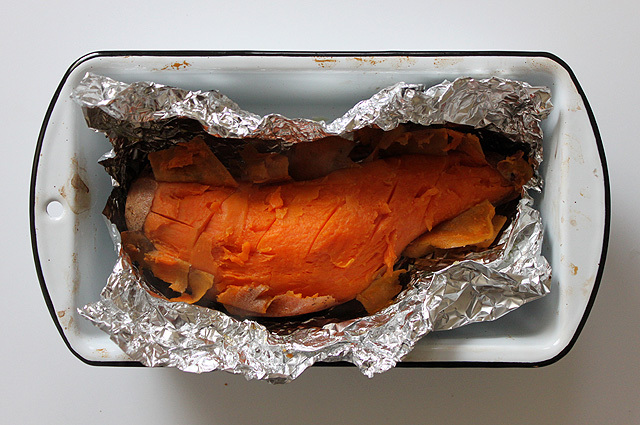 It begins with a mashed sweet potato and ends with a team of ‘superfoods’ encased in the batter. This is the type of muffin that you throw in your backpack before a hike or grab on the way out the door to make up for breakfast. Or better yet, have it for breakfast, toasted and topped with peanut (or other nut/seed) butter, and you will face the day as a force to be reckoned with! 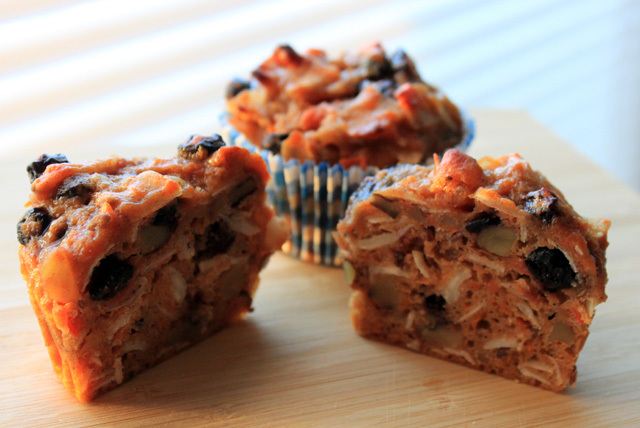 The recipe below is a riff on a paleo inspired recipe for Morning Glory Muffins. 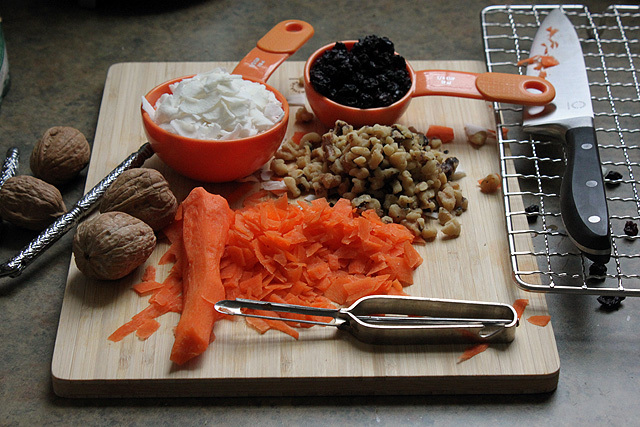 My version includes dried blueberries, walnuts, flaxseed, and coconut. Did I mention that there is no butter, oil, or refined sugar in them; they really are super muffins. 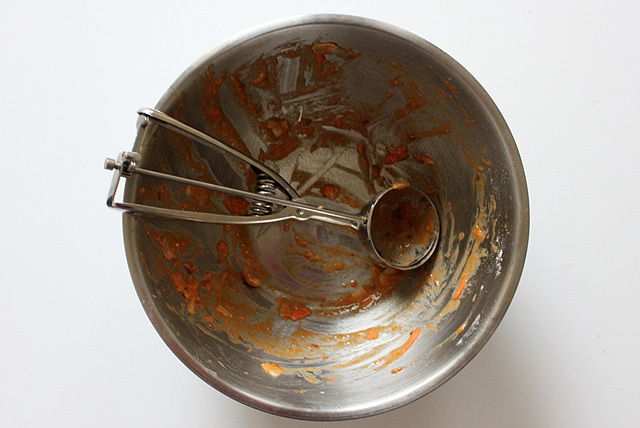 Mix all ingredients together in a large bowl (in three steps) until fully blended. 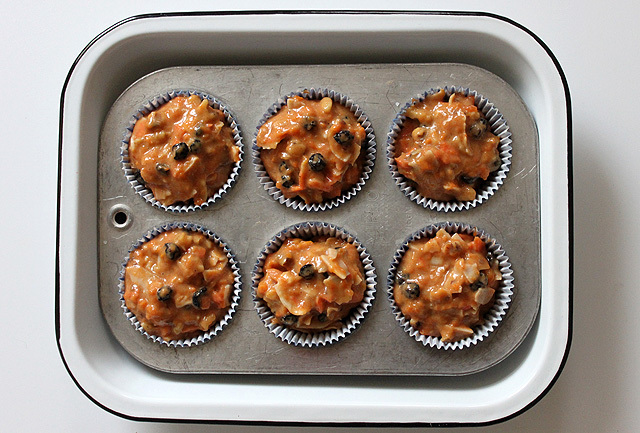 Coat muffin tin with cooking spray or papers and divide batter evenly. Allow to cool completely. Even better the next day. Makes 6 big ones! Please tell me you downloaded those images, if you took them, it will make me feel totally inadequate about my camera, kitchen and culinary prowess. Those look like an awesome breakfast food! Packed with so much great stuff! Love the shot from up above the full muffin tin. Gorgeous! I was intrigued by the sweet potato. These look very flavorful and filling. Perfect jumpstart to the morning routine. im always late the party, but these muffins (and this post) look amazing, yum.